Epic has been known for creating some incredibly gorgeous tech demos and now the gaming giant is jumping into the VR world with Unreal Engine 4. The programmers and developers at Epic haven't just translated Unreal Engine 4 into a virtual reality experience, they've also converted it into a gaming building tool called the Unreal Editor. 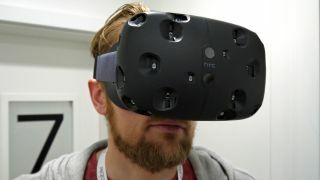 A YouTube video shows a technical director Mike Fricker wearing an HTC Vive arranging objects in the objects around the game two motion controllers in hand. Fricker explains the process is as natural as moving around objects and orienting them in real life and it looks as intuitive as he claims. Though these features might sound like they will only be useful to game developers, it shows Unreal Engine can run smoothly and at full resolution with a VR headset. UE4 games built for the Oculus Rift and other devices might just be coming around the corner. The mechanics of building a virtual world could also be easily translated into Minecraft-inspired games such as Rust. Epic's Founder and CEO Tim Sweeney said they plan to show the Unreal Editor in more detail as well as release plans at GDC come March 16.